Momoko was born and raised on a dairy farm in Hokkaido, Japan. Her life on the farm with animals and surrounded by the untouched nature is all philosophically essential to her own art and ambition. 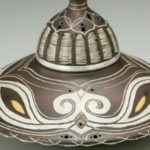 She studied metalsmithing and mixed media art in the U.S. and U.K., but then she realized the importance of her Japanese heritage and began studying traditional Japanese metals techniques at Kanazawa College of Art in Ishikawa, Japan. 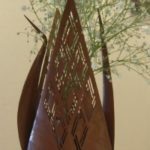 Momoko also studied under Kazuo Kashima, a 5th generation master of Kashima-style Nunome inlay. Momoko has been showing her work around the world and has won various awards. 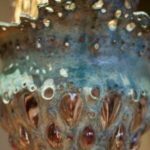 Her work can be seen in 500 Metal Vessels. 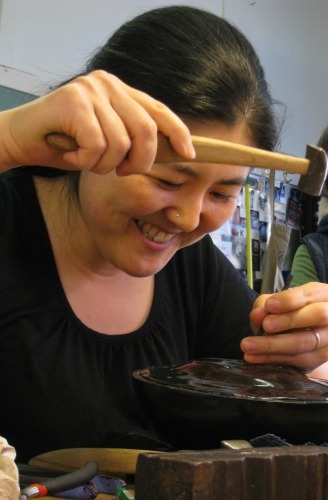 Currently, Momoko teaches various traditional Japanese metals techniques at MAC.